Ben Affleck and Harvey Weinstein at the Critics’ Choice Movie Awards in 2013. “I didn’t forget,” replied the former Total Request Live host. Girls. I'm so impressed with you brave ones. I had to laugh back then so I wouldn't cry. Sending love. The video linked in the tweet is for the show’s cold open, but the clip in question can be seen below. And while one can’t blame a brother for his brother’s crimes, it’s worth noting that Affleck’s younger brother Casey came under heated scrutiny for previous reports of sexual harassment in the lead up to the 2017 awards season. 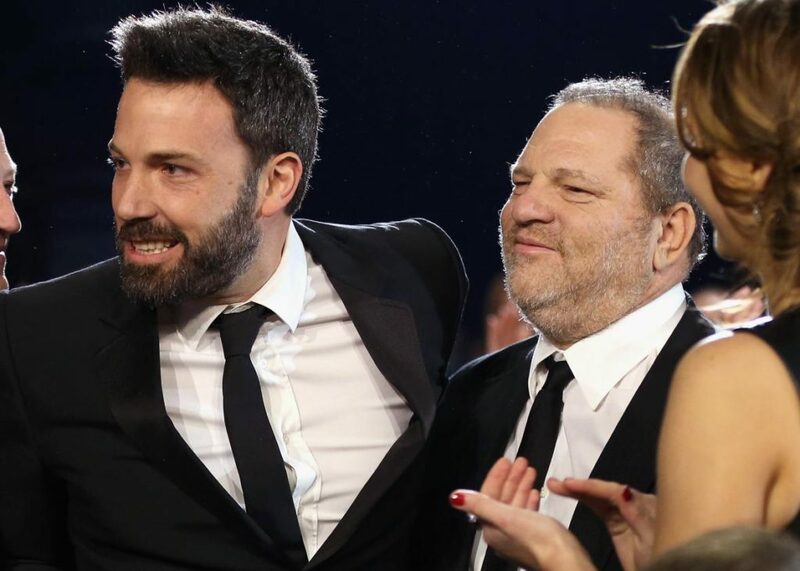 The younger Affleck had previously settled two sexual harassment lawsuits from women working on his 2010 documentary I’m Still Here, which many said should discount him from any fairytale comeback narrative. He still won the Academy Award. Close friend of the Afflecks Matt Damon has also been accused of attempting to quash a 2004 Weinstein story. Ben Affleck Casey Affleck, how’s your morning boys? Rachel Withers is a Slate Brow Beat assistant.